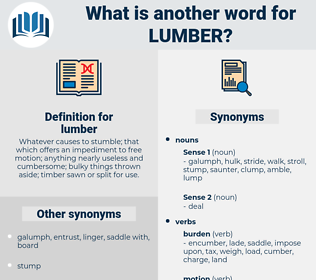 What is another word for lumber? 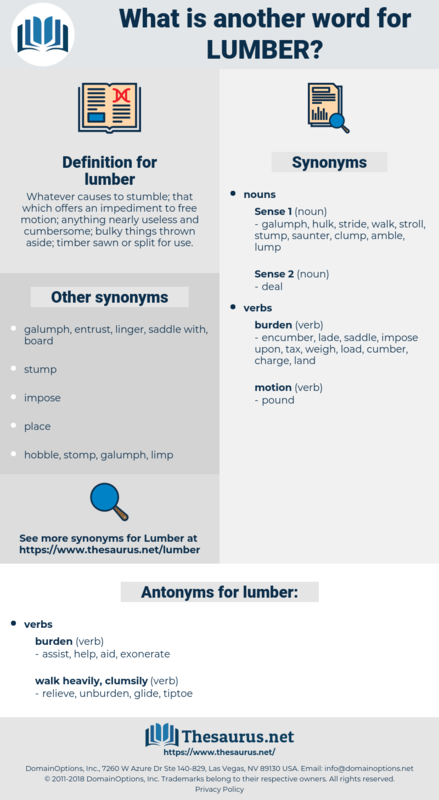 Whatever causes to stumble; that which offers an impediment to free motion; anything nearly useless and cumbersome; bulky things thrown aside; timber sawn or split for use. By great luck a lot of lumber yards along the water front escaped. Only a lumber - room, you see, he concluded, flinging the door open. limber, lamprey, line of fire, linen paper, lymphuria, limper, lumper, lumbar, lempira. planking, plank, stock, strip, board.